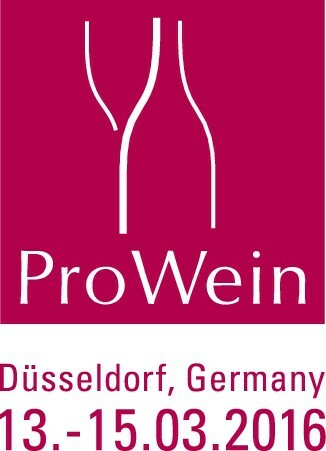 This past week I had the opportunity to attend ProWein in Düsseldorf, Germany. It was quite an experience, with over 5,000 winery exhibitors from around the world and 50,000+ attendees. Here are a few quick hit impressions from the show. If ever there were any doubt about how much wine is out there in the world and how much competition there is, attending ProWein would quickly remove it. Over 50 different countries were represented, from well-known regions like France to up-and-comers like Uruguay. a) The story behind the winery – It is critical that wineries emphasize a unique and compelling story about why people should care about their winery and wines. If done right, telling the story can be a strength for Washington. As the state is full of small wineries, the story is largely about people and passion, not about large brands as it can be elsewhere. Crafting that story in a unique, compelling manner is pivotal to success. b) The branding – Someone said to me at one point during ProWein, “I wonder how many bottles of wine are open right now?” The answer would clearly be in the tens of thousands. With so many offerings out there, it is critical that the branding stand out, from the winery name all the way down to the label. c) The quality and value that is in the bottle – Of course, the proof is in the bottle and the wine has to offer high quality as well as value. This again is a strength for Washington, where many wines outpunch their weight class due to the relative obscurity of the region and the relatively low cost of fruit compared to other regions. Of course, a weakness is the small number of wineries that are producing wines at scale and that are able to get them into national and international markets. At ProWein, I gave a series of mini-seminars on Washington wine to trade attendees (ProWein is an entirely trade focused event). Overall, I was impressed by the level of interest and awareness about Washington wine. There was one person I asked, “What do you know about Washington wine?” and he said, “I know that Washington is in the U.S.” However, he was an exception. Most other people were more knowledgeable about the state. One person said, “Washington. That’s Washington State not Washington, D.C. That’s on the other side of the continent. Right?” For a state long confused with a district, that seems like progress. It’s hard to overstate how important regional awareness is, especially when talking to an international crowd. Awareness of Washington wine in the U.S. is just scratching the surface, but to see general awareness – albeit from a self-selected group of people who attended these seminars – was encouraging. I even saw one person wearing a Dusted Valley t-shirt! It is often said that Washington somewhat straddles the New World and the Old World in terms of its wine style. That is to say, we have a New World ripeness of fruit flavors but, because of our large diurnal shift (the difference between daytime highs and nighttime lows) and cooler days as harvest approaches, we retain greater acidity than many warm climate growing regions. In this way, Washington more closely resembles the structure of the Old World. One person noted as he was tasting one of the wines being poured that if it were a blind tasting, he wouldn’t quite be sure if it was Old World or New (granted, the wine in question was 2011 vintage which magnifies that angle). However, Washington’s message of being a region with New World fruit with Old World structure certainly resonates with the trade. It should continue to be a key part of the state’s messaging in the future. This is the third year I've attended ProWein. Its true, the scale of the wine industry when viewed from the floor of the expo hall is overwhelming. But there is something about WA wine that really speaks with a different voice than a lot of what is out there. I'm generally on the floor as a buyer more than a seller, but I always take some of our Washington wines with me to taste with the people I'm meeting with. People are generally impressed with the quality for being a largely "unknown" region. When you tell them the pricing, they're floored. I think all in the industry should especially pause on #1. It's easy to think of the industry as your neighbor, AVA or state, but the world of wine is massive and that's the true competition.